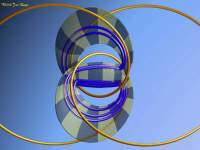 This page stems from a collaboration with Prof. Etienne Ghys of the Ecole Normale Supérieure de Lyon. 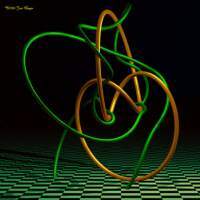 Prof.Ghys held a plenary lecture at the International Congress of Mathematicians in Madrid (August 2006).The professor and myself worked out the graphics for this lecture : I wrote custom algorithms in Ultrafractal to translate the math, supplied by the professor, into images and animations. 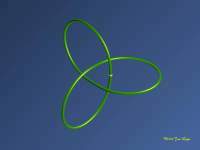 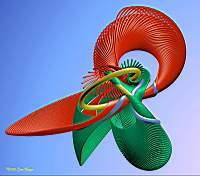 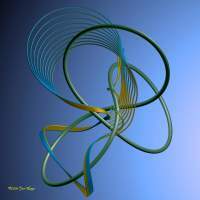 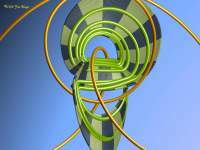 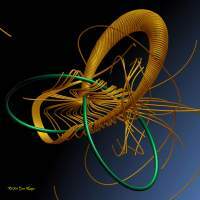 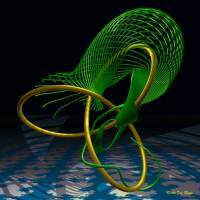 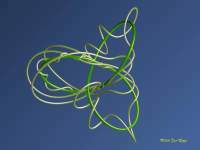 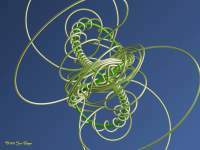 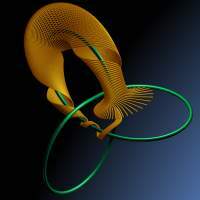 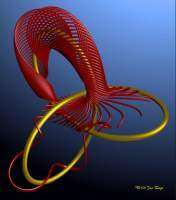 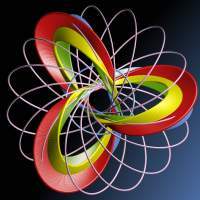 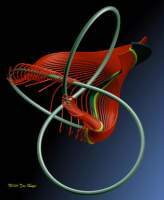 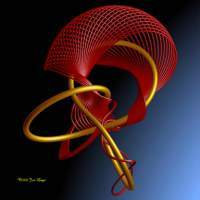 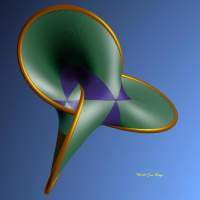 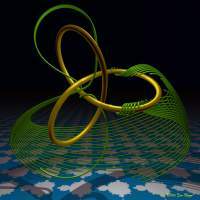 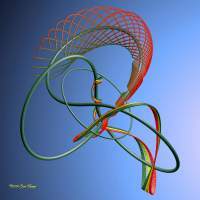 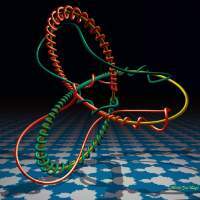 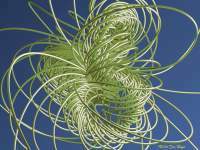 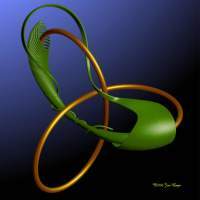 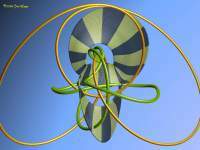 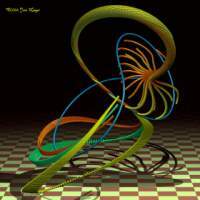 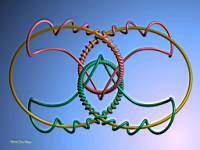 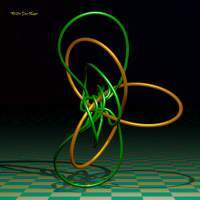 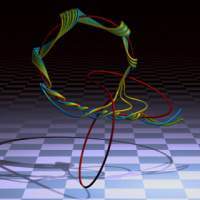 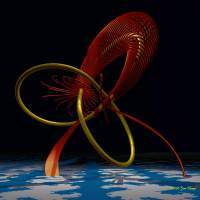 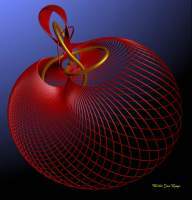 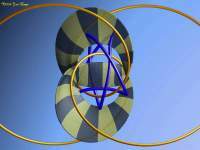 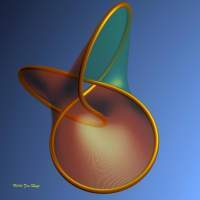 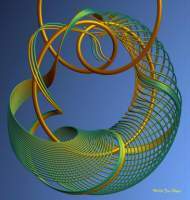 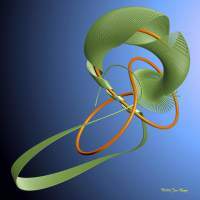 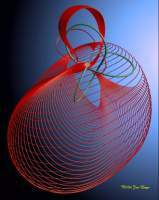 The lecture entitled "Knots and Dynamics" treats topics in fluid flow and knot theory. 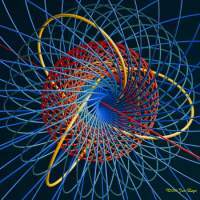 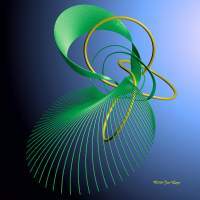 The graphics in these pages relate only to some aspects of these topics, as the subject matter is much broader.Some of the math used to produce these images is explained in this article. 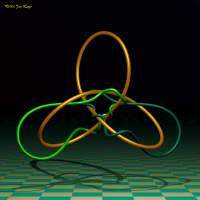 The projection in R^3 of the image in C^2 of a matrix with integer coefficients and determinant=1. 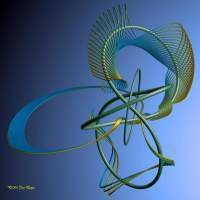 The image of a collection of matrices with real coefficients. 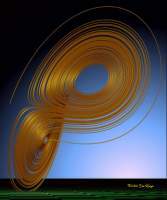 The orange bar is called the 'Poincaré section'. 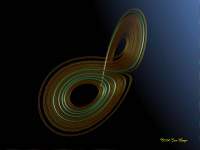 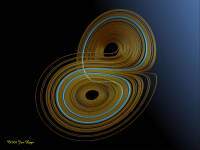 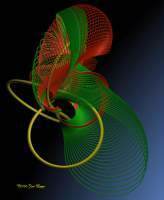 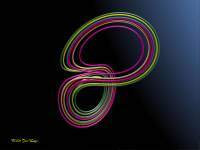 A stable orbit on the Lorenz attractor. 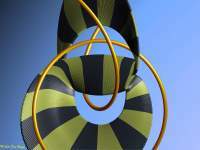 ...and comes to rest on the template.